The instructors of Faculty of Design and Innovation got hand on training upon Autodesk Revit MEP from Mr. Vivek Kumar, Senior BIM Designer at W.S. Atkins Pvt Ltd Global Design Centre. He has a vast experience in Building Information Modelling and has successfully undertaken numerous projects in various parts of the world including Amzizi Hospital in Kuwait, London City Airport in UK, Geberit in US, and Yorkshire Schools in UK. He is currently working upon Doha Gold Line Metro project. His area of expertise is electrical systems design and uses Revit MEP, Navisworks and Dialux for DB Scheduling and load calculation. Revit MEP is an advanced software that focuses upon the mechanical, electrical and plumbing fittings while analysing the heating and cooling loads of the building with occupancy details. All these advantages and features of the software are readily available to our students who will be learning this software during the spring semester. 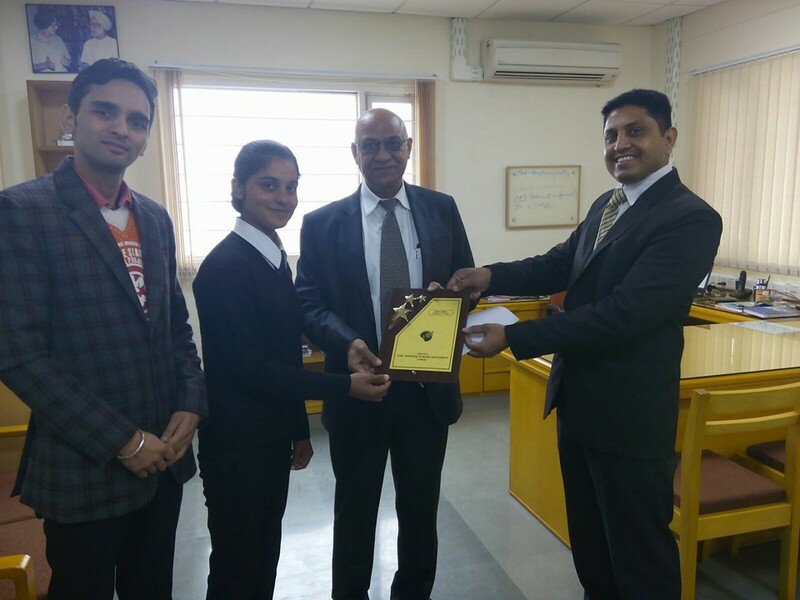 Faculty of Hospitality students’ team participated in Hospitality Olympics at PCTE Institute of Hotel Management, Ludhiana on 19th and 20th January, 2016. FOH team grabbed first prize in Bed making competition and second prize in Napkin Folding and best table layout competition. Ms. Meenakshi, student of first year B.Sc. Hotel Management showcased her housekeeping skills by making Maitre style bed making and impressed judges with her finesse work and won first prize. Total 18 teams of various universities and institutes participated in this event. Ms. Amnisha, student of First year B.Sc. Hotel Management grasped the attention of audiences and judges with different styles of napkin folds and got second prize in this category. In Napkin Folding Competition, total 20 teams of various Universities and institutes participated. Team FOH participated in three events at Hospitality Olympics and got two prizes. 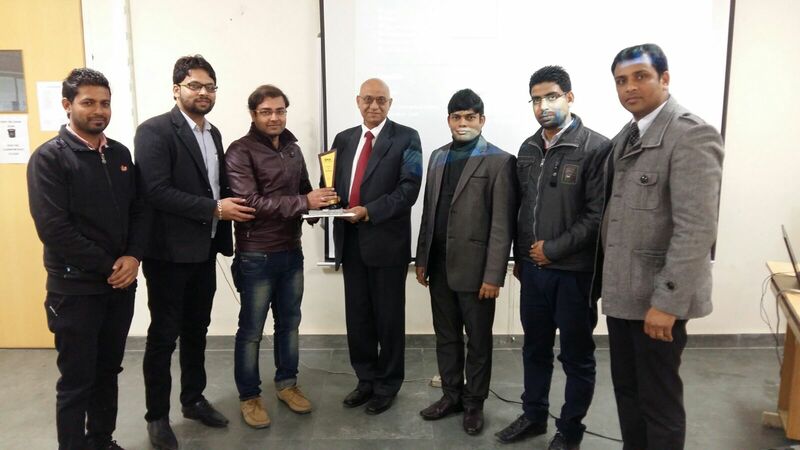 Faculty Coordinator Mr. Pankaj Sharma and Mr. Pukit Bhatti trained the students with their dedicated training and motivated students to compete with second or final year students of other institutes. Honourable Pro Chancellor, S. Gurdeep Singh congratulated the winners and Faculty for this victory. Prof (Dr) Prem Kumar, Vice Chancellor appreciated the triumph of students and encouraged them to keep the zeal and spirit of winning burning in their hearts. Mr. Varinder Singh Rana, Head, Faculty of Hospitality, also cherished the success of students and motivated them to participate and showcase their skills at the bigger platform. A One day workshop on “Vertical Synergisation of Solar power” was held at the Corporate Engagement Division of GNA University on 20th January, 2016. Participants comprised of the Student members of solar club, and others from robotics club, Aeromodelling club and automobile club who endeavored to use this power directly into their devices. 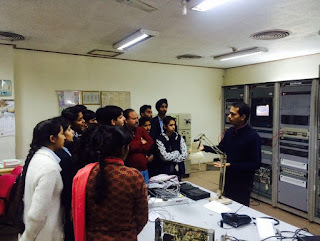 The workshop was guided by Professor P Thareja, Dean Faculty of Engineering and Technology and spear headed by Mr. Paprinder Singh and Ms. Jasleen kaur, Assistant prof. Electronics and communications. The workshop was addressed by Mr. Harbhajan Singh, CEO, Fortune Consultancy Services, Mohali and Mr. J.P. Kundra who spoke on Entrepreneurship with Energy Efficient devices and Optimisation of Solar Energy using electronic instrumentation respectively. Mr. Singh exhorted the participants that understanding the human needs as well as the societal needs and their matching was very essential for the student entrepreneurs. Thus meeting the requirement of process integration of solar energy in the almost every powered product is essential. 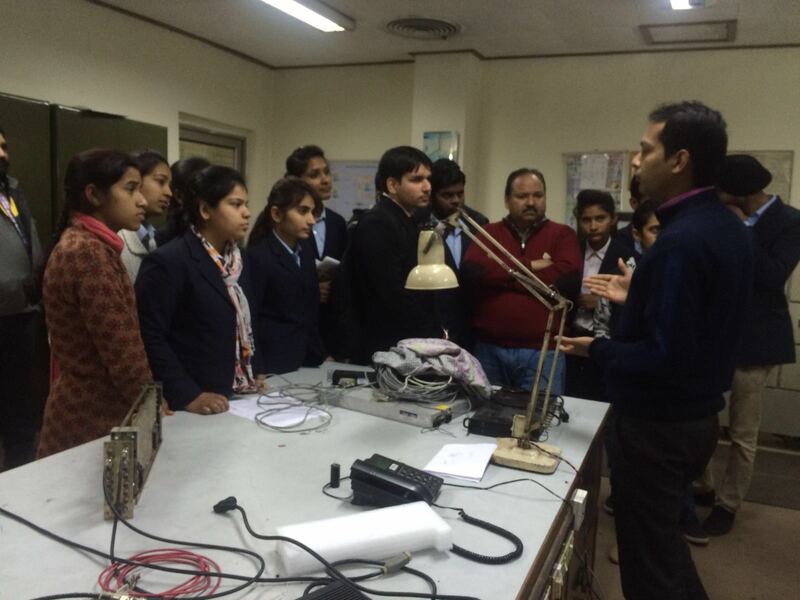 Earlier , Mr. Kundra had diligently inspired the students to participate in the designing of solar power projects. He gave the demonstration and addressed the queries regarding the solar panels and other related products. Mr Paprinder Singh Assistant prof., Mechanical engineering gave the customary vote of thanks. Faculty of Hospitality organized workshop on Sushi Preparation. Faculty of Hospitality organized a workshop for the first year students on Sushi Making on 20th January, 2016. Master Chef Fame, Chef Kandla Nijhowne visited GNA University to share her expertise skills on sushi preparation with students. Mr Varinder Singh Rana, Head, Faculty of Hospitality along with his team welcomed the Guest Demonstrator, Chef Kandla, guests and students. Worthy Vice Chancellor, Prof. (Dr) Prem Kumar inaugurated the workshop and conveyed special thanks to Chef Kandla for visiting GNA University and sharing her skills with GU students. Chef Kandla started the workshop with a very interactive session and gave a special learning to the students to practice their work on repetition basis. She started her demonstration by showing the Sushi Ingredients and made aware the students with ingredients identification. She demonstrated Nigiri style, Maki style, Uramaki style, Temaki style and Oshi style of sushi preparation. She invited students to prepare the same styles. Students were very much involved in workshop and asked questions on various sushi techniques. Chef Kandla was impressed with the student’s performance and involvement and praised the Faculty of Hospitality. Ms Monika Hanspal, Head, Quality Assurance and Mr Varinder Singh Rana, Head, Faculty of Hospitality honoured Chef Kandla and conveyed special thanks to her for interactive workshop. Honourable Pro Chancellor, S. Gurdeep Singh appreciated the efforts of Faculty of Hospitality for conducting International level workshop and conveyed thanks to Guest demonstrator for visiting GU. 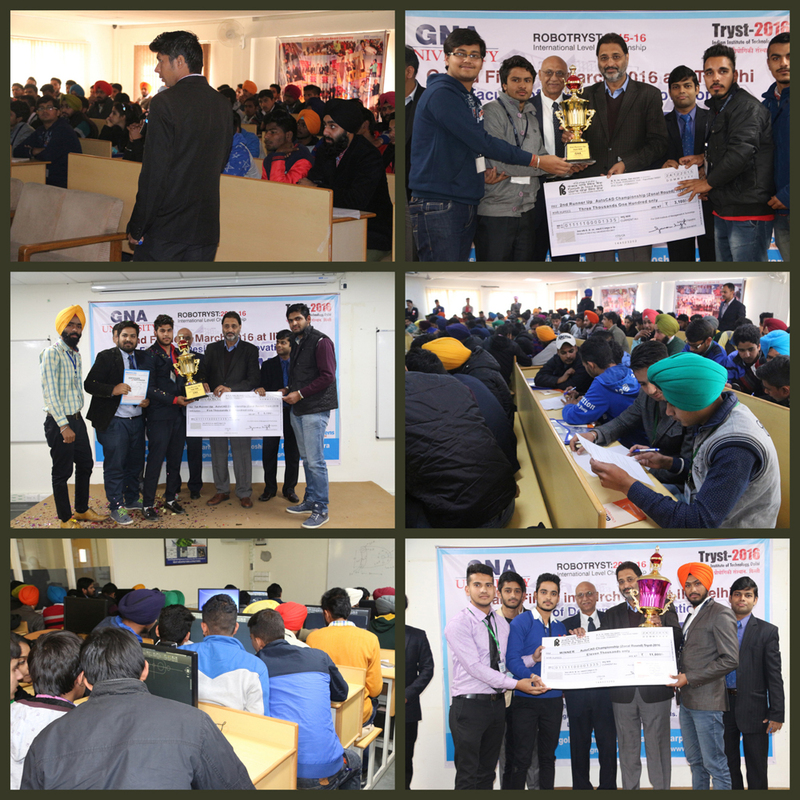 GNA University, Faculty of Design and Innovation- CAD/CAM, Phagwara Organized TRYST-2016 , Two days international level championship and workshop on CAD at our University in association with the Indian Institutes of Technology (IIT-Delhi) and RoboSapiens Technology, Noida. Er. 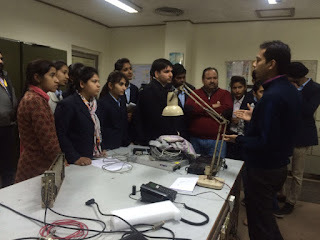 Vinay Kumar and Akshey Kumar, Research Engineer form RoboSapiens Technology -Noida, Imparted the knowledge of this technology to the students. 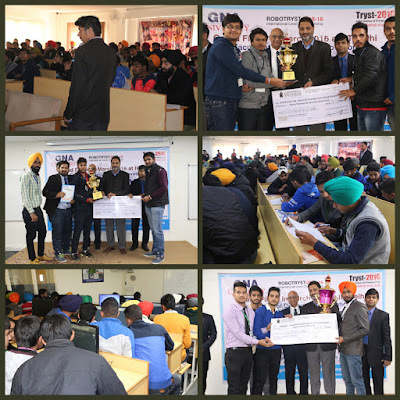 The workshop is first of its kind in this region which was conducted by Faculty of Design and Innovation CAD/CAM - GNA University Phagwara, More Than130 Students form 21 Colleges/Institutes/Universities were participated in which students of Baba Kuma Singh College of Engg & Technology- Amritsar, Beant Polytechnic College- Gurdaspur, Brahm Kamal Polytechnic College- Mukerian, C.T Institute- Jalandhar, GNA - University- Phagwara, Govt. Polytechnic College- Moga, Gulzar Group of Institutes- Khanna, KC Polytechnic College- Nawanshar, KC Polytechnic College-Una, Khalsa Institutes of Engg & Technology- Amritsar, Lovely Professional University- Phagwara, Ludhiana Group Of Colleges – Ludhiana, Malwa Polytechnic College- Faridkot, Mehar Chand Polytechnic College- Jalandhar, MLM Polytechnic College- Moga, Punjab Institute of Technology- Hoshiarpur, Ramgarhia Polytechnic College- Phagwara, Rayat polytechnic College- Ropar, Sai Polytechnic College – Amritsar, Sidana Polytechnic College –Amritsar and YRS polytechnic College –Moga were participated. 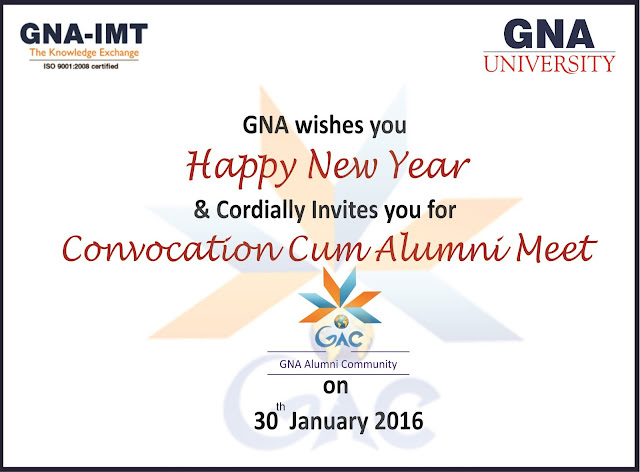 It was inaugurated by S.Gurdeep Singh Sihra, President, GNA University & CEO GNA Duraparts Limited. Dr.Prem Kumar, Vice Chancellor, Mr. Sunil Sarad Sr General Manager (Corporate Relations), Dr. Thereja, Dean FOE, Mr. C.R Tripathy- Dean CAD/CAM were also present at the inauguration. 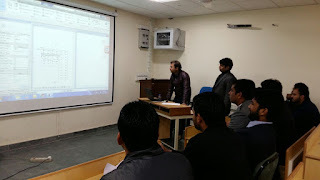 After the workshop a competition of CAD project was conducted between 38 teams and out of which 3 teams have been selected to compete in national level championship “TRYST 2016” at IIT, New Delhi. 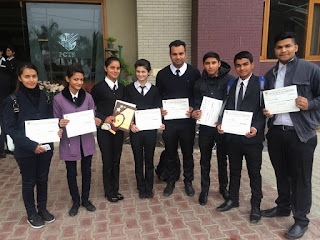 All students were awarded by certification of participation and certification of merit.